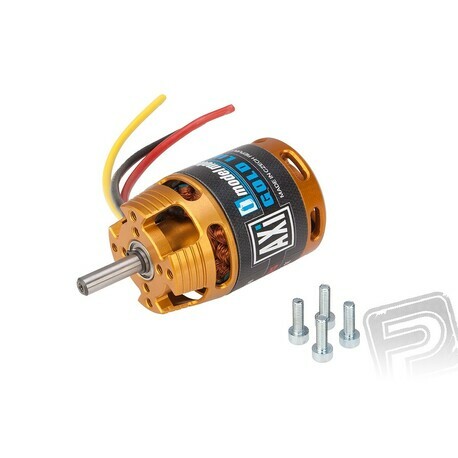 AXI 2820/10 V2 Long learned a brushless motor drive for models with a flying weight of up to 2400 g with power from tříčlánkového čtyřčlánkového or Li-poly battery. Perfect for a brisk two-meter gliders to 1800 g, thermal glider 2-3 m like. 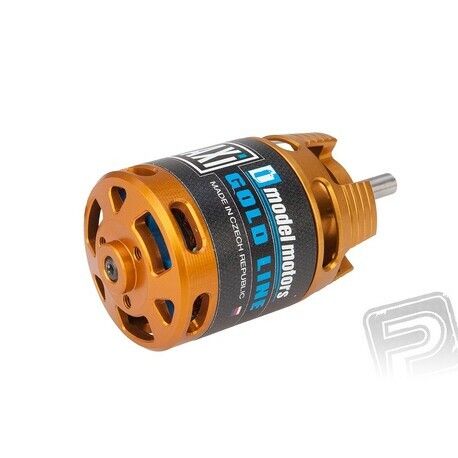 Motor mounting: AXI 2820/10 V2 Long is primarily designed for front mounting, but after buying the appropriate kit it can be used in the rear mounting. When front mounted behind the front motor using four M3 screws that extend into the front of the engine in the range of 4-5 mm. 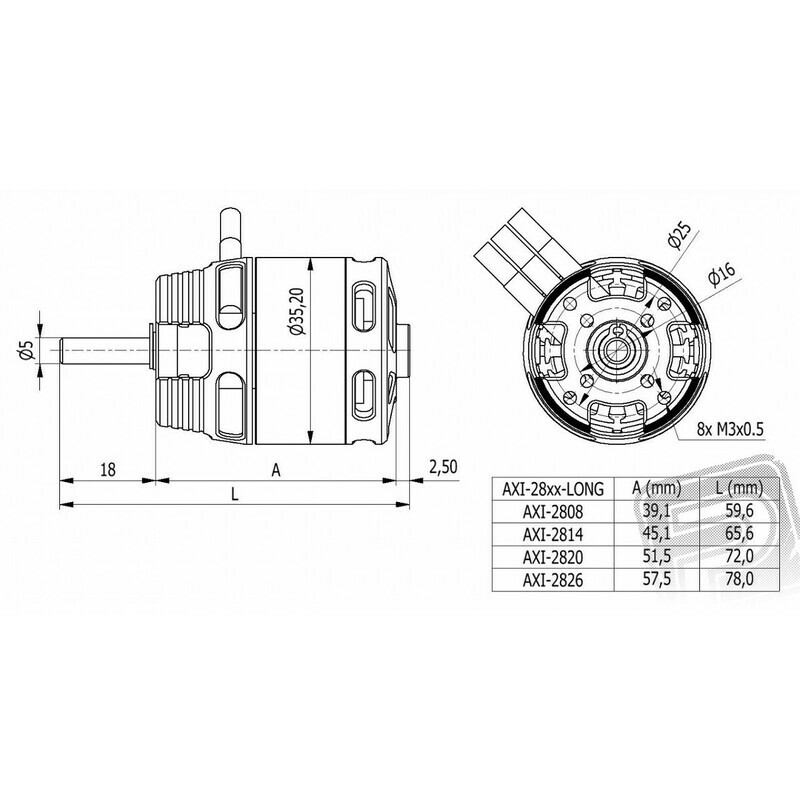 Motor bulkhead should be from 4-5 mm air plywood. 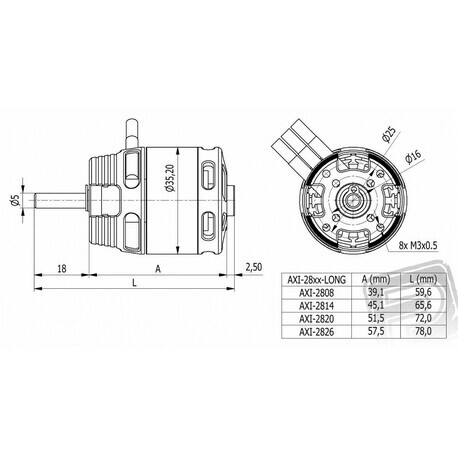 Set engine comprising: a brushless motor AXI 2820/10 V2 Long cables, instructions. 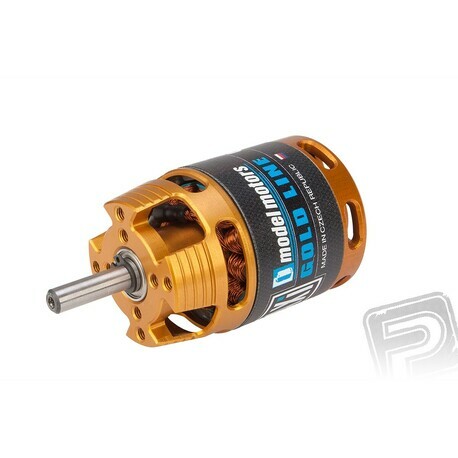 Recommended propeller 3S: 10x8 "11x6"